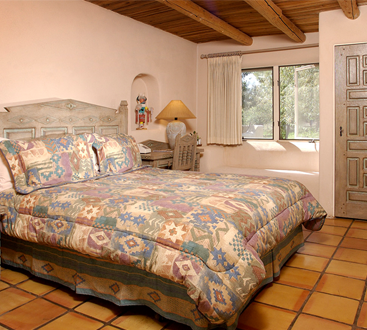 Experience true southwestern hospitality in one of our eight luxury bed & breakfast suites with hand-carved furniture, kiva fireplaces, private baths, televisions, down comforters, leather sofas and king or queen beds. All rates are based on double occupancy. 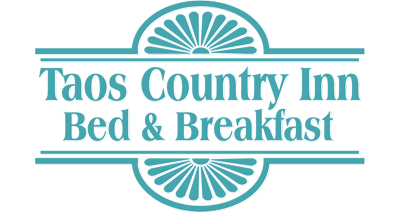 These unique Taos Lodging packages include a full breakfast plus a breakfast buffet. $50 per night for an additional person. All rooms are non-smoking. A bountiful buffet plus a hot entree is served each morning in the sun-filled dining room. Coffee is ready by 7:30 and breakfast is served at your leisure from 8:00 am until 9:30 am. Reservations are confirmed upon receipt of your deposit totaling 50% of your reserved stay (one night for stays of one or two nights). VISA or MASTERCARD is preferred. Checks and money orders are accepted, but must be received within 7 days from the date of booking. Late arrivals and early departures will be charged for the fully reserved stay. With at least a ten days notice, your deposit will be refunded less a 10% handling/cancellation fee. With less than ten days, you will forfeit your deposit. If the vacancy is filled, we will refund your deposit (less the 10% handling charge). Our front desk is open daily from 9:00 am to 8:00 pm. You may make arrangements to pick up your belongings later in the day. 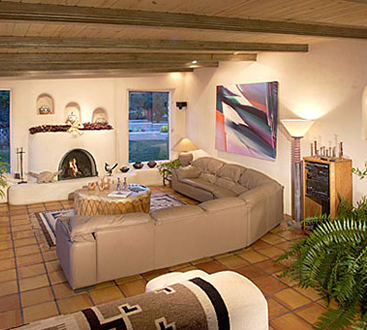 We are a non-smoking bed and breakfast which caters to adults. Because of the intimate nature of our Inn, we do not have facilities for children under 8. No pets, please. Maximum occupancy for select rooms is limited to three. 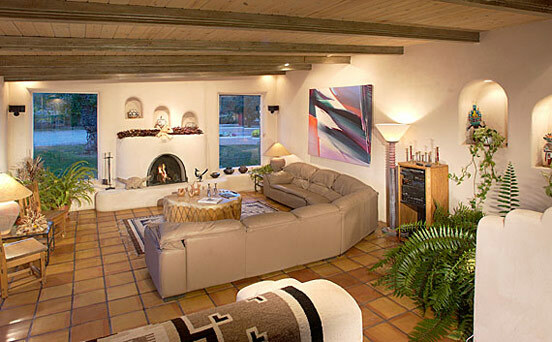 Special policies apply for groups using three or more rooms. If you are running late or planning to have a different check in time, please call our B&B to let us know!